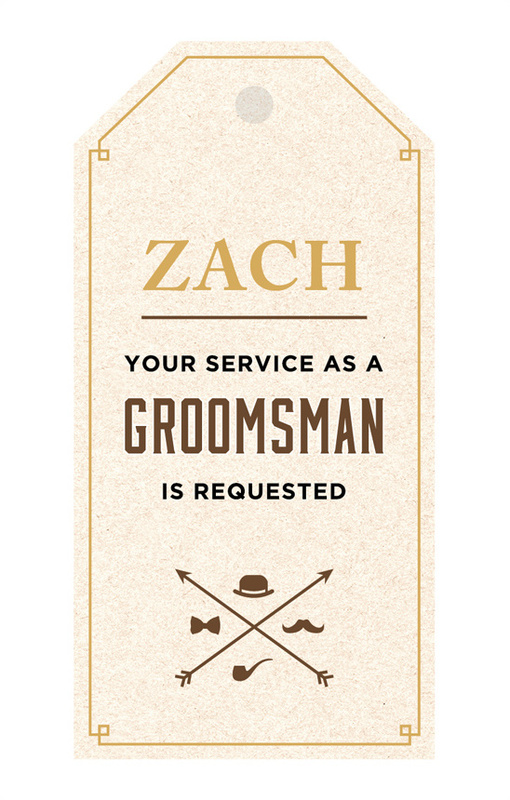 We are all for equality, so why not make your groomsmen feel just as special as your bridesmaids! 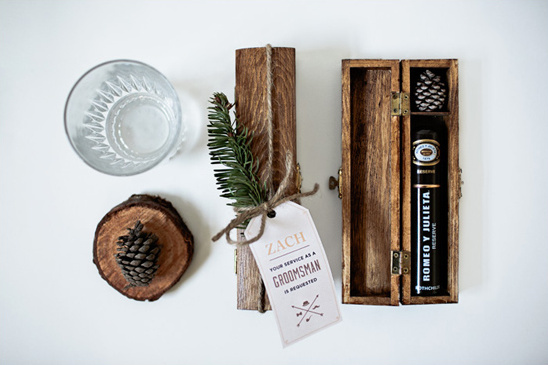 This super cool DIY gift created and photographed by Corinne Alexandra is an easy and fun way ask your guys to assist you on your wedding day. Plus we even have that hip looking gift tag for you to download and attach! Cool? cool. From Corinne Alexandra:This was a super simple project that really made our guys feel special. 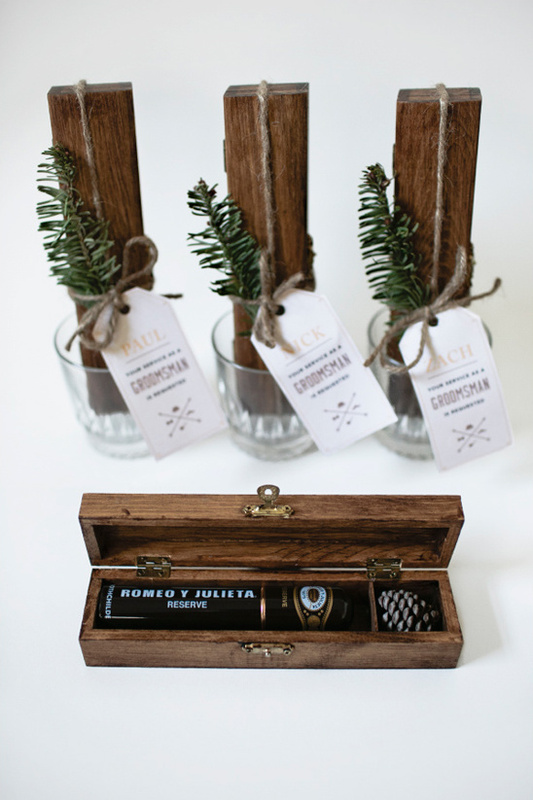 The final boxes were presented to each groomsman in a whiskey glass with promises of a guys' night to celebrate. 1. We bought unfinished cigar boxes at Artists & Craftsman Supply to hold a single short cigar. 2. The boxes were stained and sanded for a richer wood color. 3. 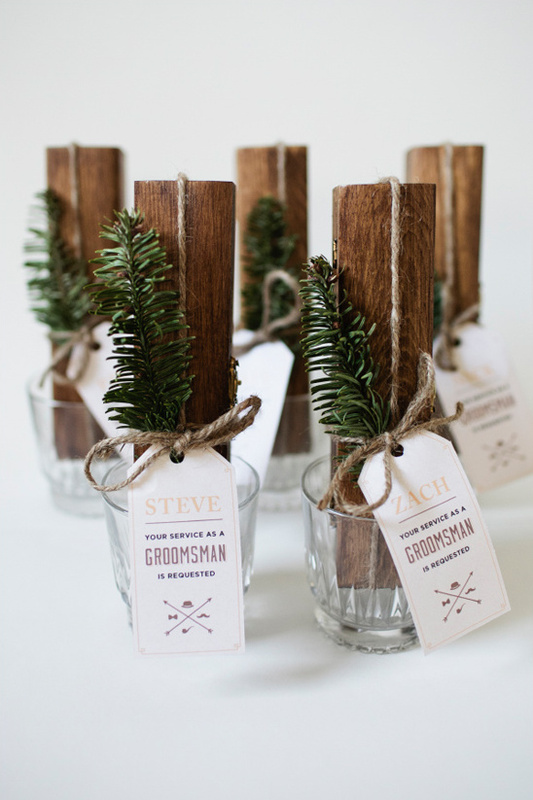 Once the boxes dried, I cut basswood to make little dividers for housing tiny pine cones we gathered to go with the woodland theme of our wedding. 4. 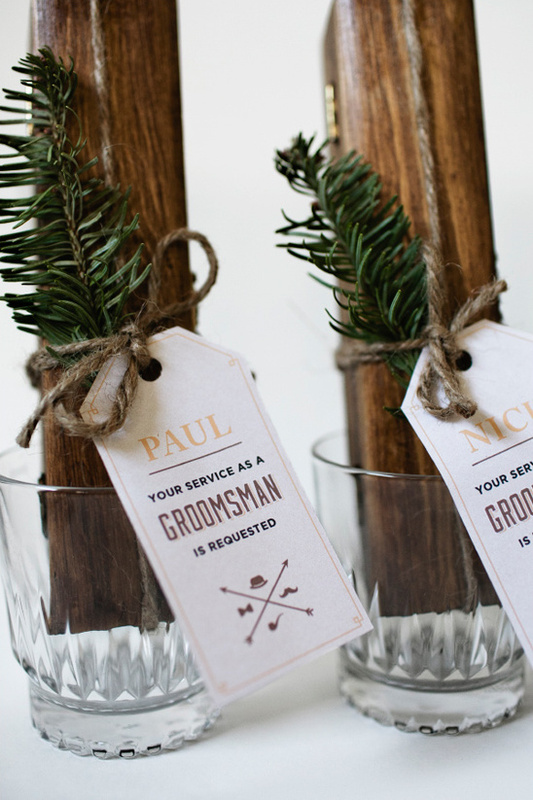 We tied everything up with some twine for a rustic touch and added a sprig of pine.